Roofers in Cambridge | Grand Valley Roofing & Coatings Inc. 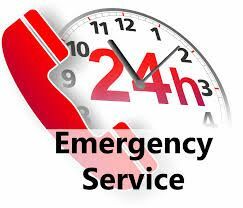 Emergency Service Available: Call 519‑650‑1231 24 hours a day, seven days a week for all your roofing needs in Cambridge. We can do general repair, roof maintenance and roof snow removal. Request an estimate. Your Cambridge Roofers: Grand Valley Roofing & Coatings Inc.
A properly installed roof will help your property weather storms. Ensure your roof is ready for whatever Mother Nature can throw at it. Whether it’s a new roof, repairs or maintenance services our Cambridge roofers at Grand Valley Roofing & Coatings Inc. can meet your needs. Our roofing services are available for residential roofs business owners who are situated in the Southern Ontario area with services available in London, Kitchener, Waterloo, Cambridge, Guelph, Brantford, Woodstock, Oakville, Burlington, and Toronto areas. Give us a call today for more information on how our roofers in Cambridge can assist in your roofing needs! We’ve been providing quality roofing work in Cambridge for more than 35 years. Whether it’s shingle, single ply, modified bitumen or vinyl decking, we can build you a new roof. Grand Valley Roofing has been providing quality roofing work in Southwest Ontario for more than 35 years. Grand Valley Roofing & Coatings Inc. is a privately-owned, bonded Canadian company that employs fully-experienced and insured crews. Continually improving and updating our industry knowledge allows us to provide the highest quality workmanship by applying the latest industry technology and standards. Our accredited workmen strive for service excellence as they work in a safe and environmentally responsible manner. Choosing us for your roofing and service needs is an excellent way of protecting your roofing investment. Grand Valley Roofing & Coatings Inc. prides itself in being a progressive company that provides that small-company individual attention your project deserves; yet is large enough to tackle the biggest job. Give us a call to get a quote for all your roofing projects. 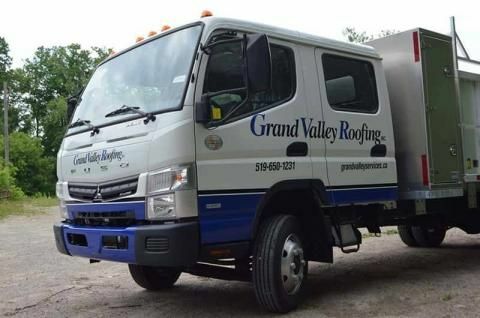 Grand Valley Roofing & Coatings Inc. is committed to respecting the privacy of individuals and recognizes a need for the appropriate management and protection of any personal information that you agree to provide to us. We will not share your information with any third party outside of our organization, other than as necessary to fulfill your request, or with your written authorization for references purposes.